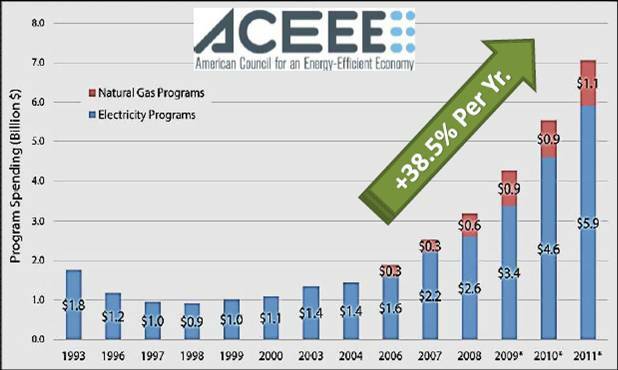 This year’s Summer Study on Energy Efficiency in Industry, organized by the American Council for an Energy-Efficiency Economy, seemed to have a powerful yet “unwritten” focus on strategic energy management (SEM) as a rising influence in industrial applications. While only about five of the papers presented by the thought leaders and policy influencers in the energy industry were on this topic, it was obvious in ensuing presentations and hallway discussions that SEM was the minds of the majority of participants. What is SEM? It’s an organization-wide energy management approach that sets long-term energy savings goals and uses rigorous tracking and reporting systems, which are intended to drive greater savings than traditional one-time energy efficient projects (such as changing light bulbs and tuning boilers). It used to be that SEM was leveraged exclusively by large multinational corporations…but now, it’s entering the common vernacular at commercial and industrial facilities around the country. It’s not just a change of language. This term is being used to usher in a new era of energy consciousness and efficiency now that energy programs overall are becoming more mature. As such, programs and incentives that are offered by utilities, state and local governments, and even at the federal level, are being written with the intention to spread the adoption of best practices at this “higher level” of energy management–and that’s really what’s driving the buzz. The rise in available funding and assistance is on a massive upward trend (see graphic below), and shows no signs of slowing; and if the Energy Savings and Industrial Competitiveness Act (Shaheen-Portman Bill) is passed this fall, it’s likely that the rate of growth for these incentives will increase dramatically. Industrial end users: Would you classify your current energy initiatives as “Strategic” or “Tactical” at this point? Let us know in the comments section.